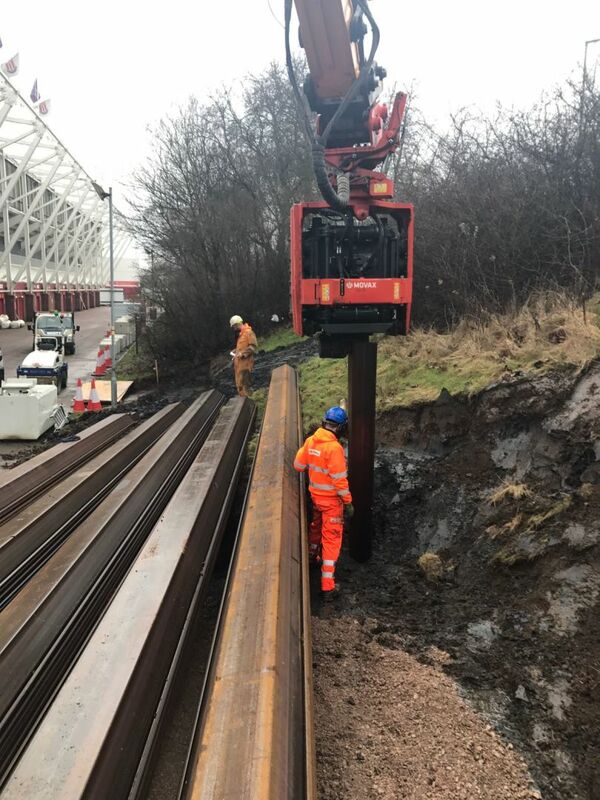 Oldham based piling specialist McCarthy Piling did a design and install of a sheet pile retaining wall at BET 365 Stadium, Stoke City Football Club in February 2017. The purpose of the job was to assist the construction of a corner of the stand between the ‘family stand’ and the stand behind the ‘away’ goal. In order to construct the stand for additional seating, McCarthy’s client, Andrew Scott Ltd, needed to excavate down and back in order to construct their works, which interfered with a banking which held back a nearby road , the famous ‘Sir Stanley Matthews Way’ in Stoke. McCarthy Piling installed, as per their own design, a mixture of GU16N piles at 12 and 13 meters long and some GU21N piles at 14 meters long. The piles were installed using 33 Tonne Hyundai Excavator with SG-75 Movax (Where the 14metre long GU21N piles were installed, a 50 tonne mobile crane was brought to assist with the pitching of the piles, due to them being too heavy for the Movax to pick up on its own). The piles were driven into stiff clay and around half of the piles of the 69 linear meter retaining wall were driven to finish level with the Movax. Where the piles ‘refused’ to be driven to level, within the hard bands of very stiff clay, a HPH 1800 Impact Hammer was brought to site and use of the mobile crane to Impact Drive the piles to level. 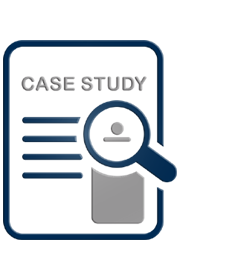 McCarthy’s total programme on site was 11 working days inclusive of Impact Driving and that included a half day on the first Friday due to a football match being the following day and work had to stop early.